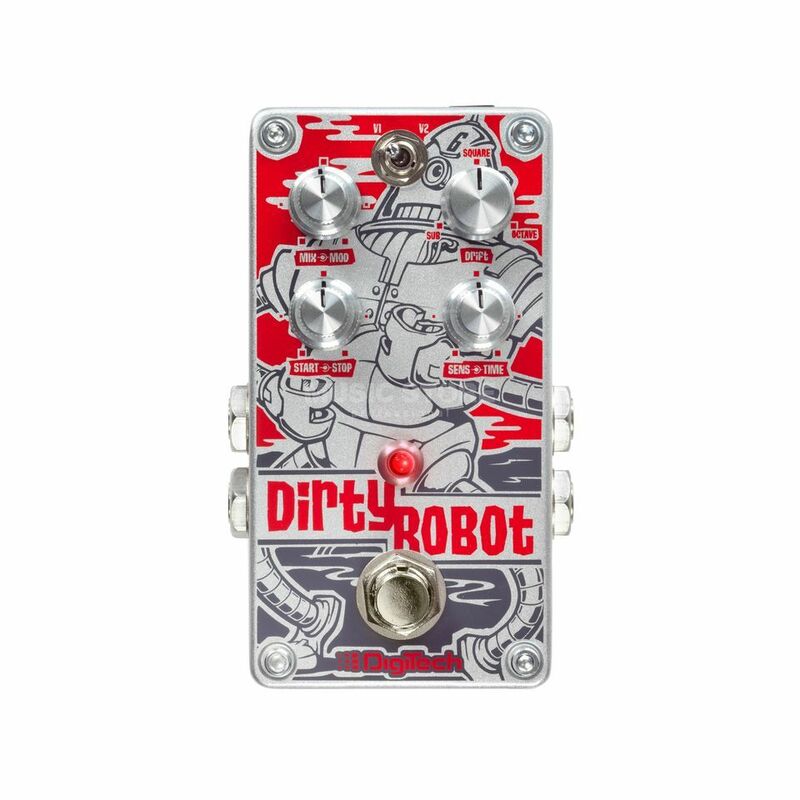 The DigiTech Dirty Robot Synthesizer Emulation Guitar Effect Pedal is a uniquely designed synthesizer emulation effects pedal for use with both guitars and bass guitars. The Dirty Robot features two individual synth voices for the user to create their own crazy and magnificent sound textures without needing a special pickup on their guitar or bass. The V1 provides a warm vintage analog synth sound like those classic synthesizers of the 80’s whilst the V2 is all about vocoder emulation and box style effects. The Dirty Robot features an exclusive 360 degrees Drift Knob which allows the musician to blend square wave with octave, and sub synthesis soundscapes.